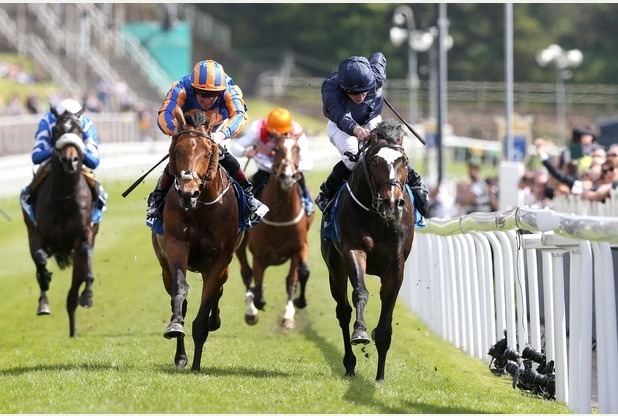 US Army Ranger (right) ridden by Ryan Moore wins The MBNA Chester Vase from Port Douglas (left), during Boodles Ladies Day of the Boodles May Festival at Chester Racecourse. PRESS ASSOCIATION Photo. Picture date: Thursday May 5, 2016, 2016. See PA story RACING Chester. Photo credit should read: Martin Rickett/PA Wire With thanks to the Cambridge News.